U.S. Sen. Susan Collins speaks during a presentation in Bangor, July 11, 2014. WASHINGTON — There’s a new push on Capitol Hill to try to take on the opioid addiction crisis in Maine and around the country. 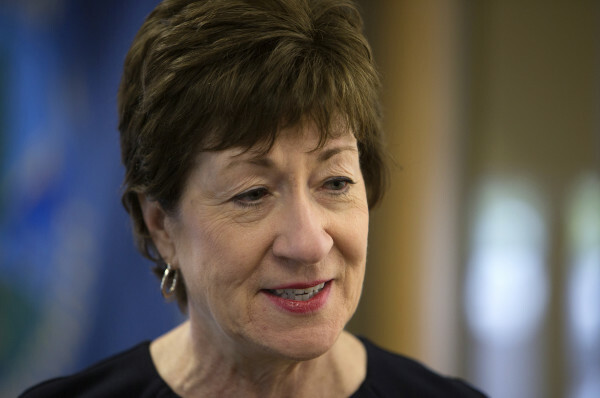 A Senate committee held a special hearing on the issue Tuesday at the request of Maine Sen. Susan Collins. Collins says it’s clear the time for federal action on the crisis is now, including education about the risks and causes of drug addiction as well trying to stop drug dealers. Collins also says it’s time to bolster treatment options, which have suffered from a lack of money. “I’m distressed that we’ve seen the loss of treatment centers at Mercy Hospital, for example, and in Sanford because of low reimbursement rates and a lack of funds to allow them to carry out their important work,” said Collins. Collins also praised recent efforts by police departments in Portland and Scarborough to try to put addicts in treatment facilities instead of jails, saying it’s clear from law enforcement that the nation can’t just arrest its way out of the heroin and opioid drug addiction crisis.